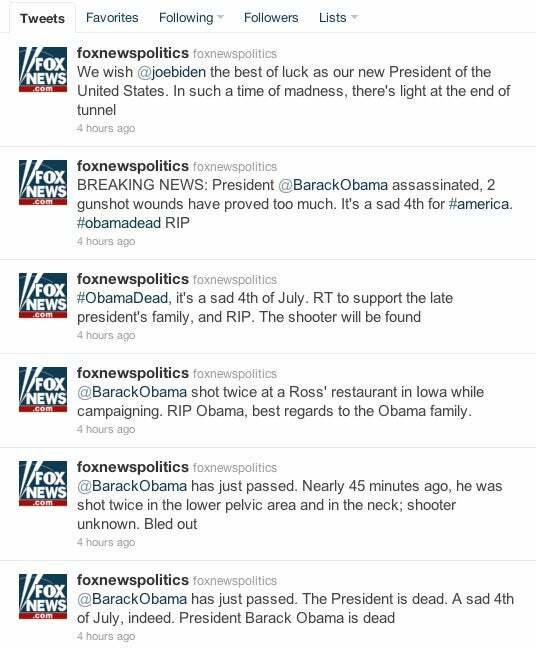 This story originally posted at 6:03 Pacific Time; it was updated at 10:45 a.m.
An official Fox News Twitter account falsely reported that President Barack Obama had been assassinated after hackers gained access to the account early Monday. The phony messages were posted to the Fox News Politics Twitter account sometime before 2:30 a.m. Eastern Time Monday and were still live more than five hours later. The account has more than 33,000 followers. 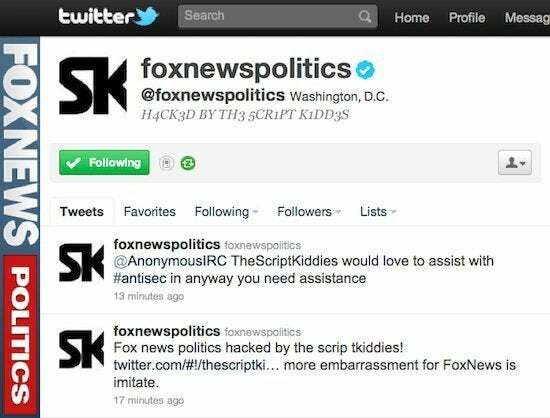 A group calling itself the Script Kiddies claimed responsibility for the hack, according to The Next Web. By mid-morning Eastern Time, Fox had regained control of its Fox News Politics Twitter account, a spokesperson told PCWorld. The company removed the offending tweets and says it is working with the microblogging service to deal with the hack as quickly as possible. "We will be requesting a detailed investigation from Twitter about how this occurred, and measures to prevent future unauthorized access into FoxNews.com accounts," says Jeff Misenti, vice president and general manager of Fox News Digital. Despite the false reports coming out of the Fox News Politics Twitter account, online readers appear to be savvy enough to understand the messages are fakes and used the incident to lampoon Fox. In response to one of the false messages that read, "The President is dead. A sad 4th of July, indeed." Twitter user heydarguise said," Obviously thats fake tweet. Fox news would not be sad at passing of obama. IT would be party tyme."